While you probably know how BINGO is played, it can still be a little intimidating the first time you walk into a BINGO hall. There are multiple games you can buy into. Each game has some pattern they will play. Terminology is being thrown around that you have never heard. We understand. We were all new at one point. If you think you fall into this category, or maybe it has just been a few years and you want a refresher, you have found the right place. Here we will break down everything you need to know to navigate any BINGO hall. You probably already have an idea of how to play. You have a card with BINGO at the top and columns of numbers under each of the letters. There will be a “caller” at the front of the room who will take balls as they come out of the shoot and read the letter and number aloud. If that number is on your card you mark it (example B9). As the game goes on, if you complete a row, or column, or specific pattern you yell BINGO! When you arrive to a bingo game, the first thing you are going to do is purchase your sheets. Depending on the night, and the hall, there may be one series of games or typically there are two, an early bird (maybe 5 games) and then the main game (typically 7 different games). You will purchase a packet of sheets. It will have one sheet for each game about to be played, and each sheet will have 6 or maybe 12 cards. You will also need a dauber. You can buy more than one packet, just consider how easy/hard it will be to mark after each call. Some games now offer electronic as well. This is a great way to increase your odds of winning and reduce the amount of effort it takes, as well as reduce the margin for error. With electronic, you pay a little more and you get a tablet that plays typically 200 cards for you. When you get a bingo, it notifies you. Keep in mind you still have to yell BINGO! One of the most confusing things to a newcomer is the different games/patterns played. 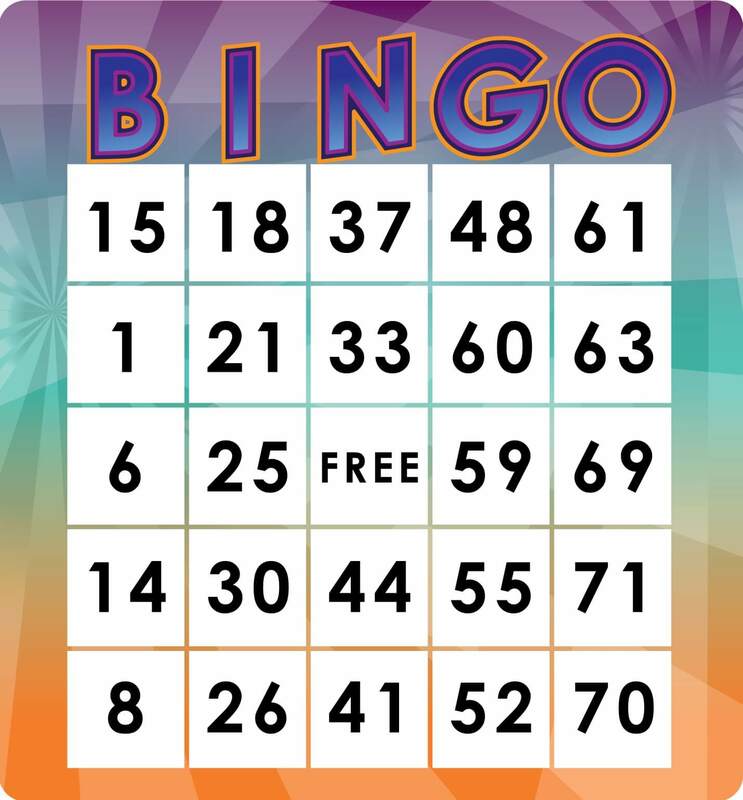 Each game will require a different pattern for BINGO. Here we break down the more popular ones you will see.